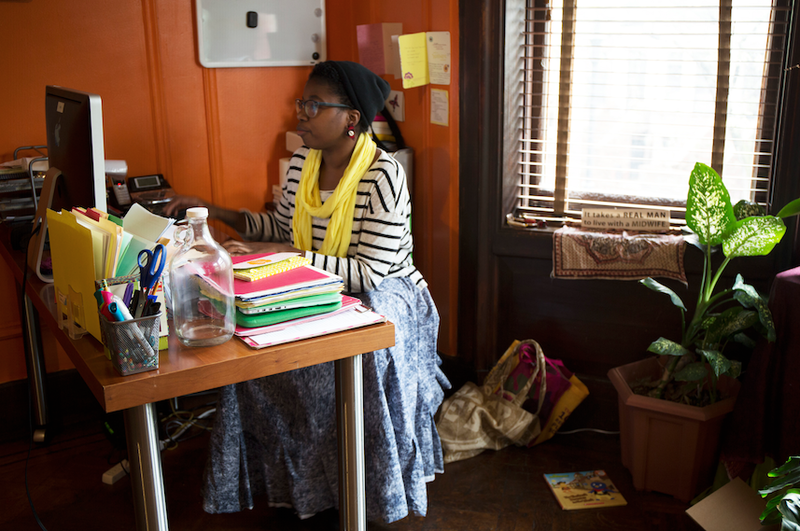 Image: Chanel Porchia,founder of Ancient Song Doula Services, provides quality and personalized doula services for communities that cannot afford them. Ancient Song Doula Services is a Brooklyn-based nonprofit that was created by Chanel Porchia, a mother of four, who wanted to provide positive and individualistic maternity and infant support services to women in Brooklyn who might not be able to afford them. With her first pregnancy, Chanel Porchia’s private insurance through her job in corporate America covered her home birth expenses, and while she was thankful that her insurance covered her home birth she also realized that not all women in her community have the same access to the services private insurance allow. “Many women in my community have to go to free clinics to get care which isn’t always personalized and customized to their experiences and needs.” And thus, Ancient Song Doula Services was created in the living room of her home in 2008. Ancient Song Doula Services’ (ASDS) mission is: “To offer quality doula services to women of color and low income families who otherwise would not be able to afford doula care.” ASDS believes in this so much they do not turn down anyone who seeks out their services but does not have the financial means to pay for them. In the seven years that they have been in business, they have not turned anyone away. Community sustainability is also a very important part of ASDS. “We offer advocacy and workshops for people who are interested in becoming certified doulas or midwifes, and offer infant feeding support groups. We know the statistics about black women and breastfeeding and want to offer safe environments where black women can come and discuss their experiences, ask questions and gain support when it comes to breastfeeding. I also make it a point to call those get-togethers ‘infant feeding groups’ so as to not exclude women who may choose not to breastfeed or are unable to do so for a number of reasons but still need a space to come together with other mothers and women in the community. Another valuable lesson I think Chanel’s children are learning is the beauty of the many different ways families can look and that community work can be a mutually beneficial exchange. Do I need a doula and midwife?